The architects for this modern Japanese building were Kishō Kurokawa Architects & Associates; Nihon Sekkei Inc. 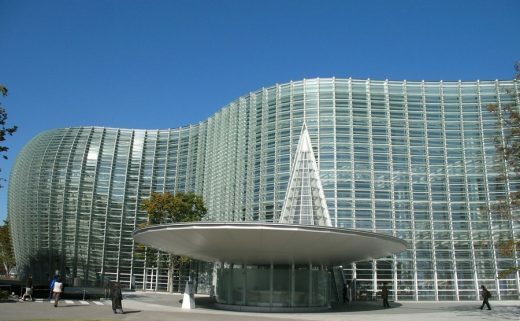 The National Art Center Tokyo is one of the last works of the celebrated contemporary Japanese architect Kishō Kurokawa. Fins were mounted over the wavy glass facade to prevent direct sunlight from entering the building. Overall, the facade is approximately 160 meters wide. 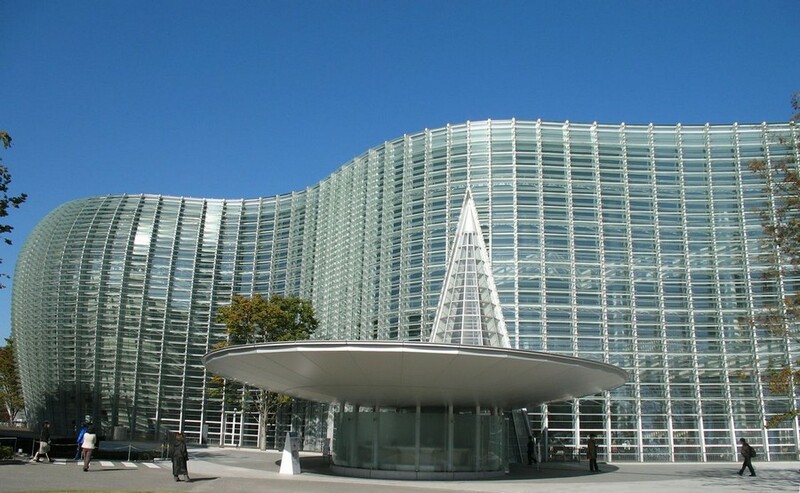 “The National Art Center, Tokyo is the art exhibition facility designed especially for both temporary exhibitions organized by curators and exhibitions presented by artist associations. The building is designed for the efficient delivery and removal of works of art, making it possible to carry on several exhibitions at the same time. The entrance lobby atrium features 21.6 meters high-ceiling and the undulated glass façade. The energy-saving design cuts out of solar heat and ultraviolet rays, and the building has a symbiotic relationship with the surrounding areas.